Grid reliability is a growing concern as the world transitions to renewable energy and existing infrastructure ages. To address these challenges, Toronto Hydro is testing a grid-scale energy storage system that can be attached to poles already present around the city. The system has been in place since August of last year, and it’s already displaying positive results. Toronto Hydro is running a pilot program with the pole-mounted energy storage system in the city’s North York neighborhood. 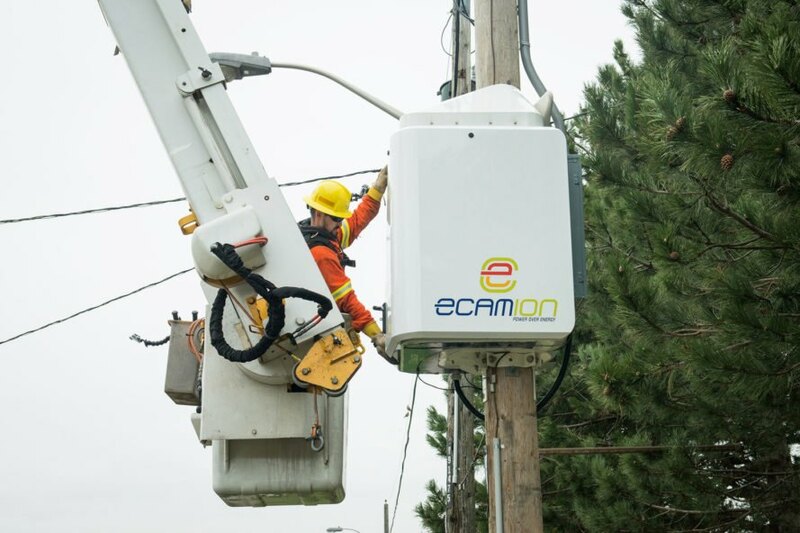 Drawing on eCAMION battery technology, the energy storage system was first developed at Ryerson University. According to the press release, the system completely lacks a footprint, because it can be attached to existing infrastructure. The energy storage system can be mounted 16 feet up on power poles, and can store as much energy as around 2,100 smartphone batteries could. During off-peak hours, it stores power and then releases it when there’s a demand. Energy storage technology could lengthen the lifespan of some of Toronto Hydro’s equipment, and offer reliability as a backup power source in case of an outage. The team monitoring the pole-mounted system is scrutinizing how it reacts to real-time data. So far they’ve found the system can indeed lower the burden on local transformers. 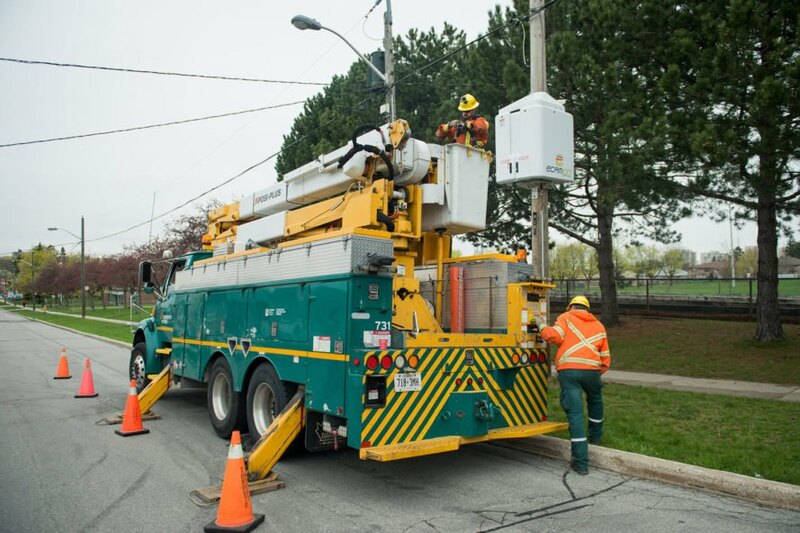 Should the pilot project continue to go well, Toronto Hydro is considering implementing the technology on new installations on the more than 175,000 power poles in Toronto. Not pretty, and 2100 cell phones is not a lot of juice. What is the actual size of the batteries? A Toronto power company is testing out pole-mounted energy storage. The grid-scale energy storage system could offer reliability to the grid. The energy storage system can store as much power as could around 2,100 smartphone batteries.